Borscht is a traditional soup common to Eastern-European countries. There are as many different variations as there are people making it, but it’s traditionally beet-based, which probably scares off at least half the population right from the start. 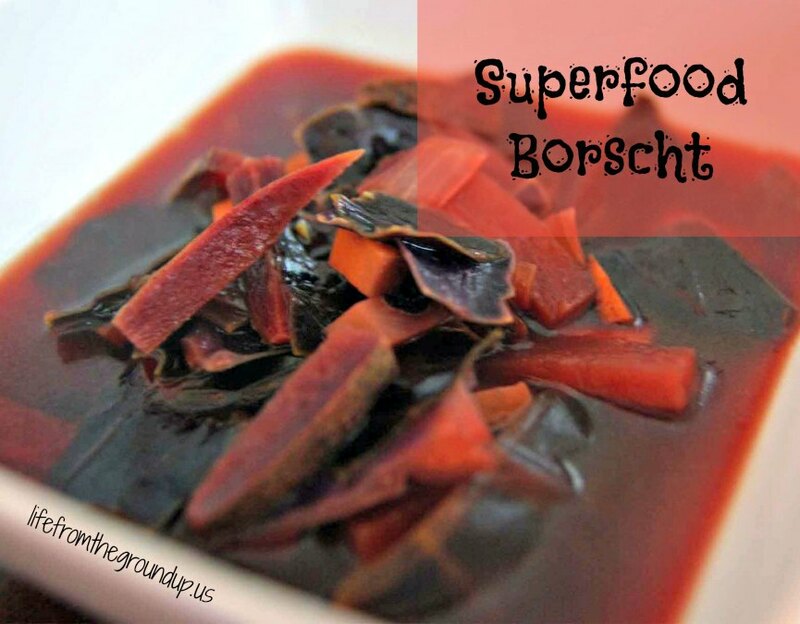 That’s too bad, because it really is an easy-to-prepare dish (it was commonly made as a way to get rid of vegetable scraps) and it’s extremely healthy, especially if you use our superfood borscht recipe! And like many words from that region, it’s fun to say. Say it slowly with me. Borsschhht. I enjoy foreign languages that squeeze as many consonants as possible into their words. Makes it awkward and slobbery for us Yanks. Anyway, I used a lot of purple foods, and you know that purple = antioxidants. 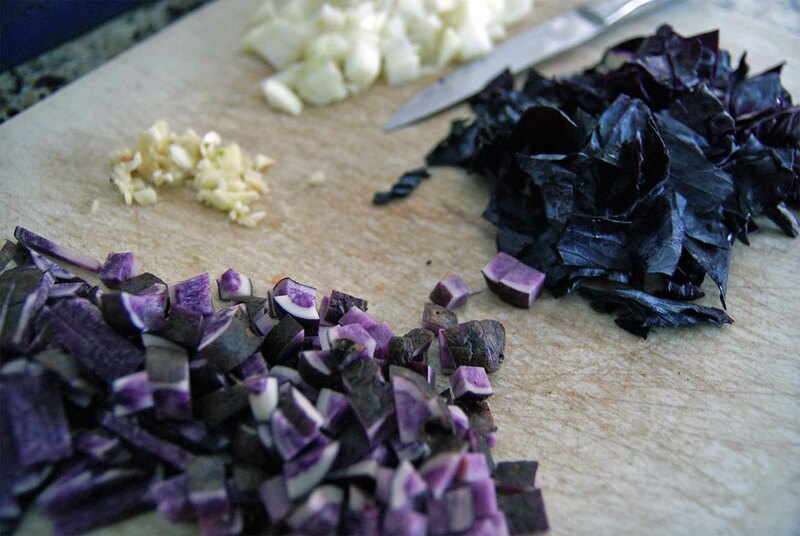 Lots of beets, purple potatoes, red cabbage, red onion… it’s all in there, and it makes for a surprisingly flavorful soup. Throw in some homemade beef bone broth and raw cider vinegar, and we up the ante even more. You can almost feel yourself developing super powers, or at least lowering your risk of cancer (don’t worry FDA, I’m not making any actual claims). If you don’t have some of these vegetables, or want to use others (I’m not Slavic, so I don’t claim to know any authentic recipes), knock yourself out. Although if you exclude the beets, I’m not sure if it’s still borscht, just soup. Still good though. Like this immune soup. In a large saucepan, Dutch oven, or stock pot, heat the oil and add the onion and garlic. Cook for a few minutes, or until soft. Add the broth, beets, cabbage, and potatoes, and bring to a simmer. Cook for 15-20 minutes, or until the vegetables are tender. Remove from heat and stir in salt, pepper, and parsley. Ladle into bowls and let cool. When it's not too hot anymore, add the vinegar and yogurt (if it's too hot, you'll kill the probiotics). Serve warm or cold. Oddly enough I read this blog while eating my lunch… Which was a bowl of borscht.